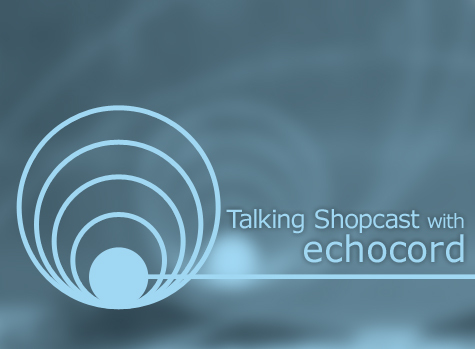 Welcome to the third edition of our series of interviews and mixes affectionately titled Talking Shopcast. The majority of media and fan attention gets showered on the artists who create the music we love to listen to/DJ with/dance to, and for good reasons. But without the hard work, keen ears and business savvy of label staff, we’d be stuck only streaming tracks on Myspace. This time we’re examining one label that’s been prominent in dub techno’s popular renewal, Denmark’s Echocord. Founded in 2002 by Kenneth Christiansen, a staple of Copenhagen’s record shops and renowned DJ, Echocord proved a launching pad for Mikkel Metal and hub for Quantec, Rod Modell, Trentemøller, Brendon Moeller, Fairmont and more. In 2008 it gave birth to Echocord Colour, a vibrant new series of releases on, you guessed it, cherished colored vinyl. 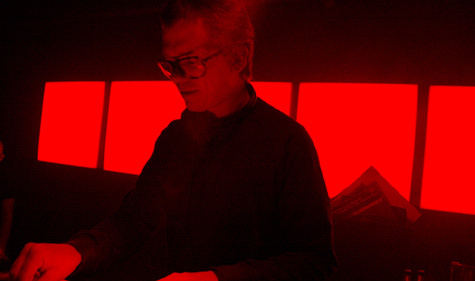 We talked with Mr. Christiansen about Echocord’s origins, why its records stand out, and his predictions for the future of dub techno. He’s also provided us with an excellent exclusive mix of recent and long time favorites, available below. Please tell me about the beginning of Echocord. Why and how did you start out? How did you decide on the name Echocord? Kenneth Christiansen: At the time I started my label I was working in a record shop where I met most of the producers and DJs from Copenhagen, and I saw there were a lot of new talents. I already was thinking about starting the label for a while when I met Mikkel Meldgaard aka Mikkel Metal, but it was just after I heard his first demo that I thought, OK now is the time. Also I had good connections with all the distributions in Europe because I had been working in record shops for some years, and I knew the people at Kompakt from the beginning, so I thought why not try Kompakt. When I heard the reaction from Wolfgang and Michael about Mikkel’s music, I knew that was the start. Some years before all this, I did music with a friend, and we were very inspired of the Dynacord – Echocord machines, and from there the name came. How do you select the artists for Echocord’s roster? In the beginning it was different than now. At that time I used my contacts and friends, asking them for tracks: Anders Ilar and Andreas Tilliander from Sweden and a lot of people from Berlin. I always had had a strong relationship with the ~Scape people, Hardwax and Flow.er/Meteosound, so when I asked artists from there to do some tracks or remixes, like Jan Jelinek, Bus, Substance, Vainqueur, Fenin, Deadbeat and Pole they all thought it was a good idea and were ready to support the label. I have always been a big fan of the Deepchord label from Detroit, so when Rod Modell sent me some tracks in 2003 I was really happy. The same happened when Brendon Moeller when he contacted me 3 years ago. I’m trying now not to have too many new artists on my label Echocord, which also is one of the reasons why I started the sub-label Echocord Colour that can go in other directions with other artists, but that’s another story. Do you get many demos? What are some qualities you look for when sorting through them? I get many, many demos, and I must say I can’t listen to them all, but I’m trying to do my best. First of all it’s important that the sound fit my label, and that it doesn’t sound too much like anything else. I think at the moment too many records come out that sounds alike. What is one of your favorite releases on your own label? Why? Of course the very first one, Echocord01 means a lot to me, and I still listen to it. I think Mikkel’s music is very special. His sound is very unique, you can always hear when it’s by him. The new one, Echocord 033 where he teams up with Tikiman, I think is the strongest release on Echocord so far. Another favorite is the first one by Brendon Moeller. I played it at Fabric last weekend and it was great to see that people still love it so much. According to many doomsayers, running a record label isn’t one of the “smartest” fiscal things to do. How do you keep Echocord running with sales “as they are”? I think the good think with Echocord is that many people collect them. It’s not really like a 4/4 techno record that you maybe play one track of in the club. I think many of the releases you can hear at home but many also at the dance floor. We have also always been trying to do a little bit extra for the artwork. Also now with the blue vinyls for Mikkel’s new project and the Colour series, people like that. Kenneth Christiansen behind the decks. Do you think mp3 blogs like LWE hurt the music industry? Do you think blogs have a role in the future of dance music promotion? I don’t think it will hurt the music industry. It’s a way of promoting the the labels and artists, and if people want to buy the vinyl, they will find it. And yes I think it has a big role. As technology advances further, vinyl is moving closer to becoming obsolete for many DJs. What are your feelings on this? Do you think the end of vinyl is in sight? Besides my labels I run a club here in Copenhagen called Culture Box. Here we have all the DJs playing from all over the world, and I can still see that many, many DJs prefer to play vinyl. I don’t think the end of vinyl is in sight, there will always be vinyl-lovers like me, and also I know that my good friends in Hardwax still sell a LOT of vinyl. I definitely hope it will always be here. What are a few other labels you respect/revere most? Back in the days it was actually everything that came out of Hardwax, like Basic Channel, Chain Reaction & DIN. At the moment I’m very much into labels like FXHE, AW, Modern Love, Styrax, Skull Disco, Hyperdub and Tectonic. I like very much dubby techno with the Detroit Feeling, like Luke Hess, and the newer dubstep sound from artists like 2562, Martyn & Peverelist. What can we expect from Echocord in the next year or so? Good question. I think the dub techno sound will change a little bit from how it is now. The direction will be more to the Detroit sound or the dubstep sound. I will definitely release more stuff by many of the artists who already did some, but also new artists are coming up. The next Echocord release will be by Trentemøller from Copenhagen. He teams up with DJ Lab who already did 2 records. Normally Trentemøller is releasing on tech-house labels like Poker Flat, but here he made two dubby tech tracks for Echocord. The downloadlink is wrong. It llinks to the latest cast with Echospace [Detroit. link goes to talking shopcast 2 mix by soultek at the moment. Thanks for this but the download link is for the Soultek mix? Sorry about that, everyone. The download link is fixed now. the download link is from the 2nd shopcast with Soultek, good mix nonetheless. Yep, mix isn’t working properly. The monkeys in IT must have their wires crossed. I’m not sure why you think it’s not working; the mp3 I just downloaded was, indeed, the podcast by Kenneth Christiansen. Please tell me more.